Gordon's is a family run business, now on our 4th generation. 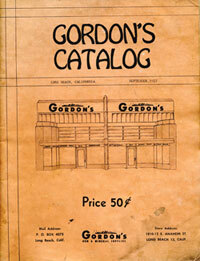 Gordon's was started in 1945 by my Great-Grandparents Lowell and Florence Gordon. My Great-Grandfather, Lowell Gordon was a druggist or pharmasist as they are now known and owned two drug stores in Long Beach, CA. 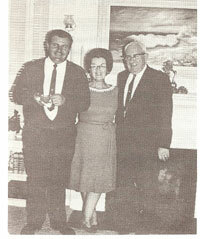 My Great-Grandparents were also avid rock hounders and were members of the Long Beach Gem & Mineral Society. 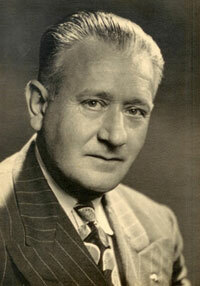 In 1943 another member of the society died at a young age and left behind a wife and 5 children. Back then it was uncommon to have life insurance so my Great-Grandfather offered to sell the extensive mineral collection and equipment in his drug store. Well that started the love for the lapidary business and it proved to be what could be lucrative business so my Great-Grandfather sold his two drug stores and on November 1, 1945 the doors opened to Gordon's Gem & Mineral. 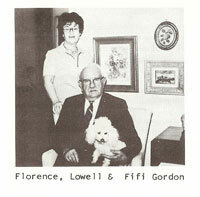 In 1971, my Great-Grandparents retired and my Grandfather, Dan Gordon took over. 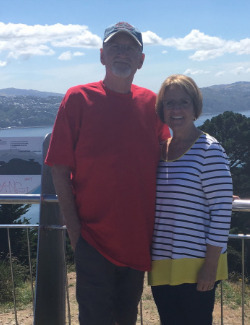 In high school, my Mom, Sandie joined the company and worked part time, until she was through with college. 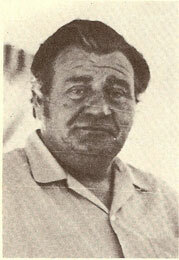 In 1991, my Grandfather became very ill and he went to his 4 children for help. The kids did what they could and after a few months my Grandfather recovered. He finally fully retired in 1995 and turned the business over to my Mom. After graduating from the University of Nevada with a business degree, I went to work in the Casino Industry. My wife who has worked for Gordon's since 2003, would always come home from work and share what they did at Gordon's. It finally dawned on me.... My parents own their own business. Something I've always wanted to do. Within a year and countless explaining, begging and negotiating, I went to work for Gordon's in 2007. I have a son and a daughter who I hope one day will become part of the family business and add the 5th generation. My daughter likes to steal from the warehouse (her favorite is the Pumpkin Bells). Over the years, we have put together a productive staff that is the best in the industry. Our staff has worked in the bead and craft industry as designers, consultants and warehouse manegment. Our staff gives you the service and knowledge to take the burden off you.